Logan Shroyer is an American actor who is regarded, in some quarters, as one of the really fast growing Hollywood stars in contemporary times. Having kick-started his acting career since his teenage days, Logan has established himself as an actor of repute, winning lots of admirers to himself over the years with his stunning performances on camera. As an actor, Logan Shroyer is best known for the role he played in This Is Us, an American comedy series in which he portrayed Kevin and The Thundermans, another comedy series. Apart from his acting skills, Logan is widely admired for his handsome looks and sharp dressing. Logan Shroyer was born on the 10th day of March 1999 in Norman, a city in the state of Oklahoma, USA. He partly grew up in Norman with the rest of his family before they relocated to South Bay, a region in Los Angeles where he spent the remainder of his childhood days. He started acting at a really young age which prompted people around to give him the nickname ‘Hollywood’ because they said he had the looks of an actor. Logan Shroyer was just 13 years old in 2013 when he made his first appearance as an actor after he got cast in Westside, a TV Movie. He played the role of a young Chris in the movie, stunning viewers. 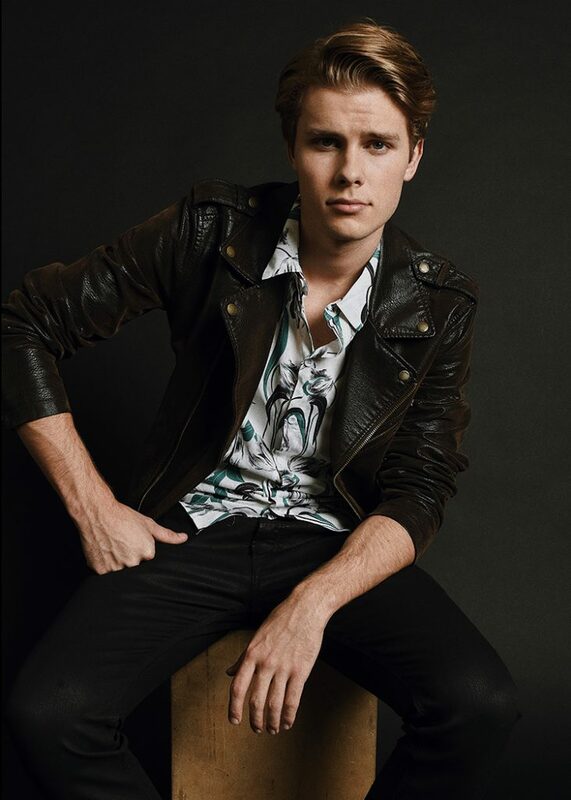 Logan’s role in Westside helped him gain confidence as an actor gearing up to do great things in Hollywood. Later in the same year, Logan was cast in The Thundermans, a comedy TV Series in which he played the role of Cole Campbell. He played this role for over a year until 2014 when he was launched to an even wider audience. The actor’s prowess on the screen became more recognized in 2014 when he appeared in Gortimer Gibbon’s Life on Normal Street, a TV Series in which he portrayed the Golden-Eyed Boy. Even though he was just a very young boy, his versatility warmed the hearts of his fans. Logan Shroyer got his biggest breakthrough on TV in 2016 when he was cast in This Is Us, a comedy TV series in which he portrayed the recurring role of Kevin. This happens to be his biggest TV role to date. He continues to star in the series to date Talking about how he got the role, Logan once revealed that he was quite surprised when he was cast in the series because he had almost missed the auditions. Apart from his role in This Is Us, Logan has also starred in other series. In 2017, he landed roles in some independent movies such as Speech & Debate, a drama/comedy movie, F*&% the Prom, another comedy and Camp Cool Kids. In 2018, he appeared in two short films; The Dying Game and One Year Later. 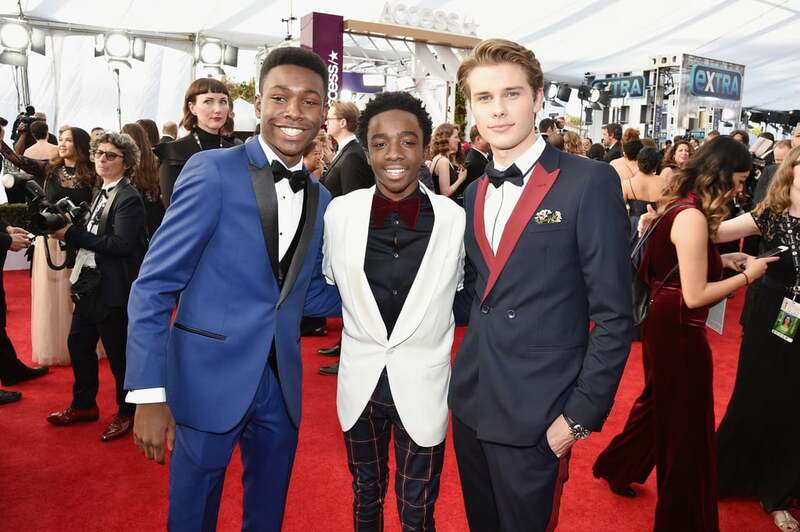 Logan Shroyer poses with fellow movie stars, Niles Fitch and Caleb McLaughlin at an event. The identity of Logan Shroyer’s parents is not known. However, the actor has often shown them off on social media many times without mentioning their names. Apparently, Logan Shroyer is fond of his parents. The actor also has two siblings whose identities have not been revealed to the public either. He regularly posts photos of them on social media but never tells what their names are. Logan Shroyer is not a tall man but is, however, of average height. The star actor stands at 5 ft 11 inches in height. In addition to this, Logan has the commensurate weight of about 78 kg or 171 lbs at the moment. Apparently, this weight stat. may change with time. In the early days of his acting career, Logan Shroyer appeared in some commercials. Apparently, he found huge public appeal because of his handsome looks. The actor was the principal actor in most of the commercials he appeared in. Apart from being an actor, Logan is also a musician and producer. The multi-talented entertainer actually plays guitar in an alternative rock band which is called Liquid Glass. He performs on stage with the band from time to time. Logan is not a married man and has not spoken openly about whether or not he has a girlfriend. However, he has been romantically linked to Ryan Whitney Newman, an American actress, and model. The actor has often posted photos of himself spending some time with Whitney on his Instagram page, following them up with some loving captions which have led fans to believe they are in love with each other. Whitney has also posted his photos on her page recurrently. Despite this, the couple has not openly confirmed that they are a thing but time will surely tell.